90,000 fibers per square inch lifts and holds dust, dirt, grease & spills. Absorbs 8 times it's own weight in water. 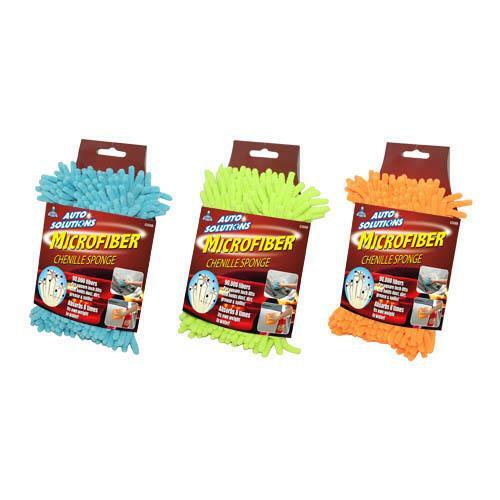 Micro fiber chenille wash spong w/ bug scrubber with long strands is incredibly soft and designed to clean the most delicate surfaces. Great for the home, car, RV, or boat. 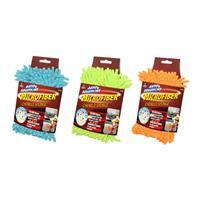 For those tough window bugs just flip it over and use this durable micro fiber mesh scrubbing pad. 18.90" x 18.11" x 10.63"